Strawberry Cucumber Detox Water not only helps maintain your health but also has beauty benefits as it detoxifies your body. Here is how to make Strawberry Cucumber Detox Water at home. It seemed like just yesterday that we took out those warm, cozy quilts for winter,and summer is here already! It is common in summers to want to stay hydrated, but why always with a glass of soda? 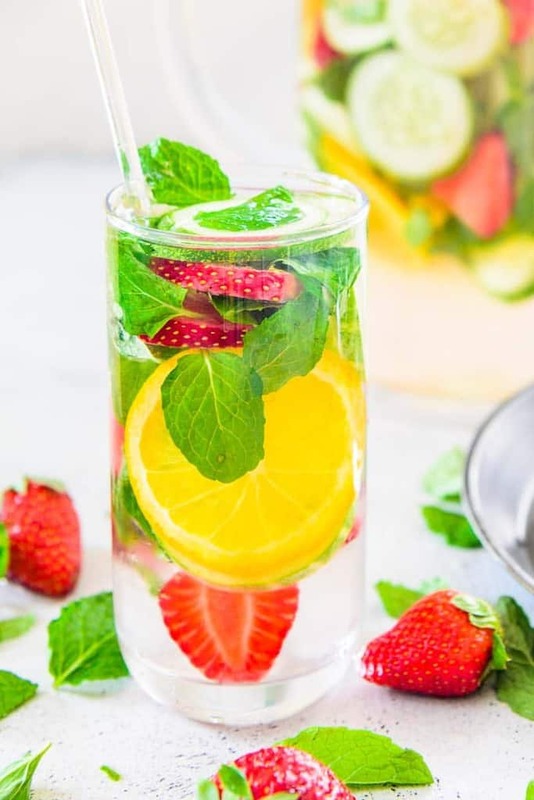 Instead of carbonated drinks, we can choose healthy alternatives to keep ourselves hydrated and it’s a bonus when the drink we are sipping on is refreshing and delicious too. What if I told you that your plain water can taste like your favorite fruits and vegetables? 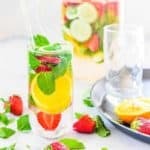 This recipe of Strawberry Cucumber Detox Water here tells you exactly how to do that using Strawberries, Orange and Cucumber. Meanwhile, you could also use your leftover strawberries from winter to prepare this Strawberry Colada Smoothie. 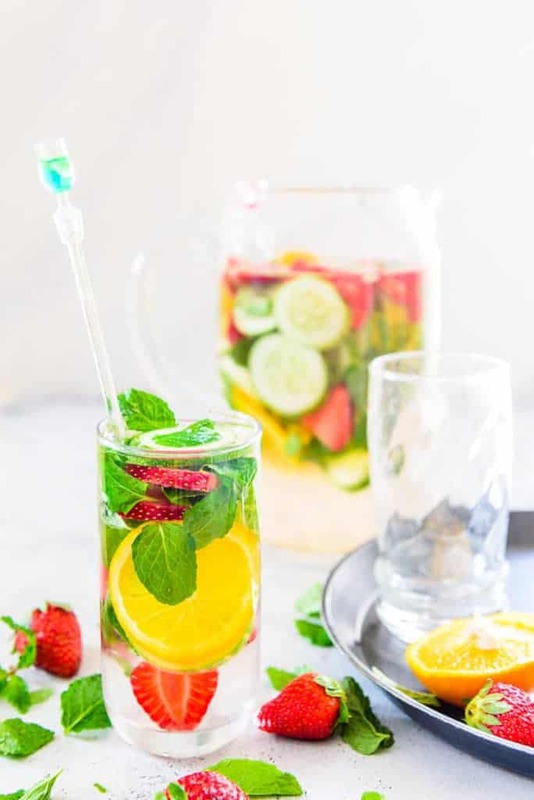 Opting for flavored water instead of unhealthy fizzy drinks not only helps maintain your health but also has beauty benefits as it detoxifies your body and helps make your skin look fresh. 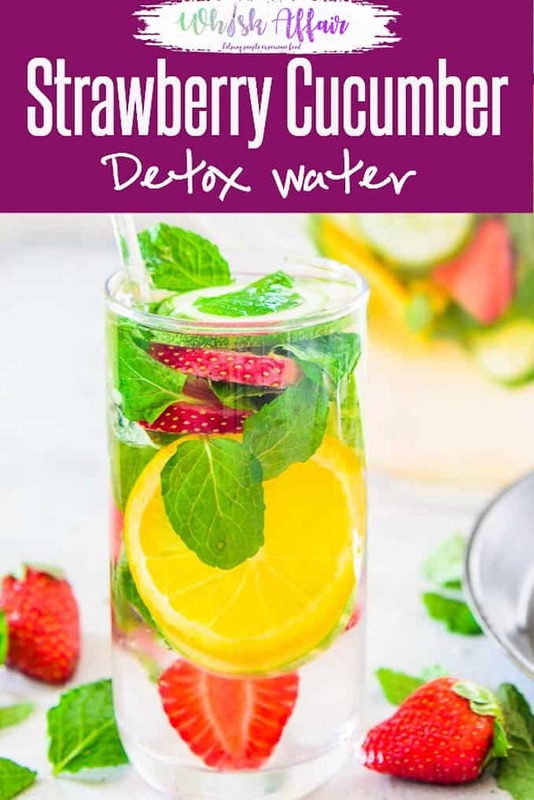 Strawberry Cucumber Detox Water also helps to improve your mood, flushes toxins from your system and fill you up so that do don’t end up eating a lot of food. Do check out the Pear Ginger Green Smoothie or the Cucumber Lemonade recipe to beat the heat this summer while also giving detox a go. Here is how to make Strawberry Cucumber Detox Water. Strawberry Cucumber Detox Water not only helps maintain your health but also has beauty benefits as it detoxifies your body. Add all the ingredients except ice in a jug. Refrigerate for 3-4 hours for the flavours to seep in to the water. You can keep sipping on this water through out the day.